Ever accidentally delete contacts on your iPhone? Or you just wake up and find the contacts of your important clients missing? All the iPhone data, including contacts, is lost during upgrading to new iOS version like iOS 12/11? I know there are many tutorials teaching how to recover lost contacts from iTunes or iCloud backup files. But what if you didn’t backup your iPhone before you lost the contacts. This article can help but before we get to the solution, the following are just some of the things you should do. First, stop using the device as soon as you discover the contacts are missing. This is to prevent overwriting the contacts and increase the chance of recovery. It is important to note that contacts that have been lost after a restore, a factory reset or a broken device, they may be hard to recover although it’s still worth a try. Also, you may want to check if you have backed up the contacts on any other cloud platform before attempting a more invasive recovery process. 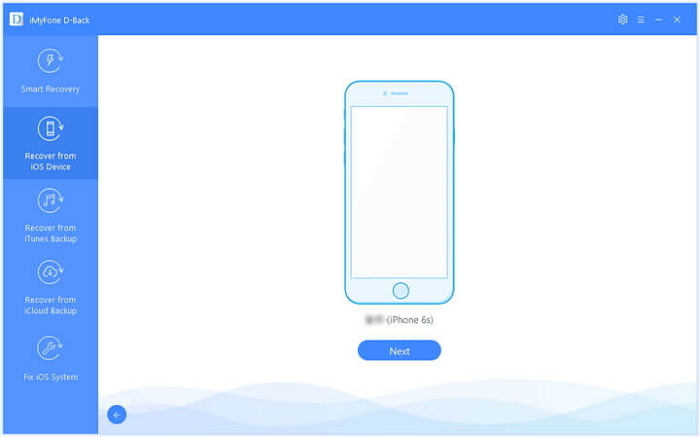 iMyFone D-Back iPhone data recovery for Win and iMyFone D-Back iPhone data recovery for Mac are designed to recover iPhone contacts without backup. With the program, you do not need to worry whether you back up your iPhone data or not when you want to get back your lost contacts on iPhone. 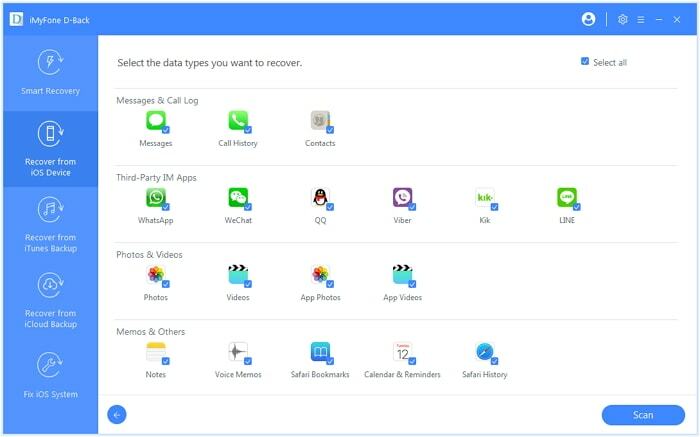 With the following features, iMyFone D-Back shines among other data recovery tools on how to recover iPhone contacts without backup. Support contacts recovery from iPhone backup files or without backup (from iOS device directly). Support recovery for more than 20 types of iPhone data such as notes, messages, photos, voice memos and more. Preview specific contacts list before recovery. Supports the iOS 12/11 and nearly all the iOS models, including iPhone X/8/7/SE/6s(Plus)/6(Plus)/5s/5c/5/4s/4. This is how to use iMyFone D-Back to recover your contacts even without a backup. Downloading and running procedure is easy. From “Recover from iOS Device” option, connect your iOS device to the computer. Then check the box before “Contact”. The software only scans the files you select, instead of all types, an added point in saving time. iMyFone D-Back will scan the contacts according to file types and their loss criteria. Following a successful scan, do browse all contacts. Alternatively you can view only the deleted by choosing “Show only the deleted ones”. After you confirm which contacts are you need, check them for subsequent recovery. After you click “Recover” button, iMyFone D-Back will prompt you to choose one folder to store your contacts. And then, your lost contacts are back! It runs on high intelligence and does not pose any complex questions. All you need to do is follow the guideline on running the program and all will be sorted automatically. It has a unique time saving feature that allows you to skim through the contacts within a short time and select the ones you need to recover. If you have iTunes or iCloud backup, you can also extract contacts or other files from backup files. The best news is that the free trial of iMyFone D-Back and iMyFone D-Back's Mac version (compatible with iOS 12/11) is already available for Windows and Mac computer. Follow the instructions to try to recover your lost data! With the information provided in this article, you can easily recover iPhone contacts without backup. So, why to go anywhere else, just use this software and live a tension free life! So whether the software can recover contacts deleted six months ago? and of course, without any backup. Provided that your deleted contacts are not overwritten, dear Amber. And you can try the free trial version of iMyfone D-Back to confirm whether your contacts can be detected.